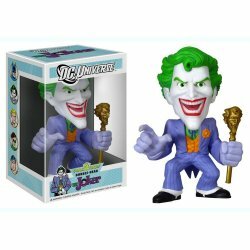 Add the Clown Prince of Crime to your collection with this DC Universe the Joker Funko Force Bobble Head. Hey, Dude, Heath Ledger wasn't the only one, this is the true classic! He's mini but he's mighty! Bobbing-head The Joker 6-inch figure is sculpted in vinyl with moveable arms for posing. A great addition to your DC collection! 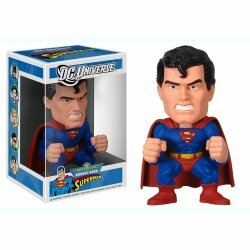 Also available are the Funko Force DC Universe Superman and Aquaman Bobble Heads. Funko Force DC Universe SUPERMAN Bobble Head - Rare!